Let us entertain you all year long! BE A SPONSOR! NAME A SEAT! We are heading toward the WINTER ARTS SERIES. Our theme this winter is COMMUNITY SUPPORTING THE ARTS while THE ARTS SUPPORT THE COMMUNITY. We can't wait to announce our winter acts, workshops and performances. STAY TUNED. Canterbury Winter Arts Series has something for everyone, with a season that includes theatrical productions for both adults and children, live music from the best of local artists, open mic nights and more! Canterbury Summer Theatre celebrates its 50th anniversary season in 2018 as one of the Midwest's oldest professional summer companies, presenting an exciting slate of comedies, musicals and thrillers, produced by our talented Resident Company, hailing from throughout the country. Come see tomorrow's stars, today! Both programs are presented at Canterbury Theatre, located at 807 Franklin St. in Michigan City, IN, in the Uptown Arts District. Join us, won't you? Call (219) 874-4269 for more information! Please help us keep the lights on! Consider making a donation to the Guild, so that programs like Canterbury Summer Theatre and our Canterbury Winter Arts Series can continue to provide quality entertainment as we have for 50 years! You can now safely contribute online through PayPal! THANK YOU TO ALL THOSE WHO HAVE ALREADY DONATED! WE ARE SLOWLY HEADING TOWARD OUR GOAL. The items listed below are the items we need. You can donate by clicking the link on the website. Please make a note if you would like your money to go to one of these specific items. If there is no note we will use it for the most urgent item and we will send you a note to update you on your donation. 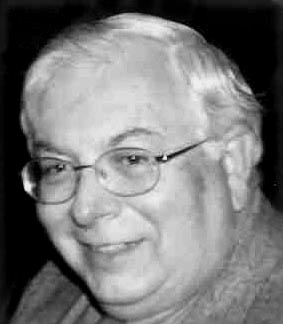 Sadly in 2012, we lost Gerald "Jerry" Peters, the longtime president of the Festival Players Guild, (now Canterbury Guild) and production administrator for the Canterbury Summer Theatre. Jerry helped pilot the Guild through 43 years of civic accomplishment, as well as helming the summer theatrical production entity that has given hundreds of young theatre artists from across the nation their first professional jobs. Michigan City has lost one of its favorite sons, and the legacy of Jerry’s efforts to help his hometown flourish will not soon be forgotten, nor will our memories of his generosity, colorful personality, sense of humor and dedication to the Guild and Canterbury Theatre. Contributions in Jerry's name may be made to Canterbury Guild, P.O. Box 157, Michigan City, IN 46361.